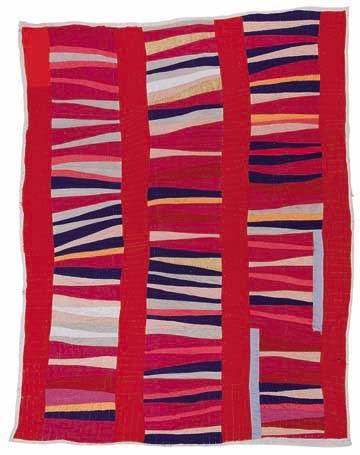 Annie Mae Young (born 1928) Work-clothes quilt with center medallion of strips. 1976. Denim, corduroy, synthetic blend (britches legs with pockets). 108x77 inches. 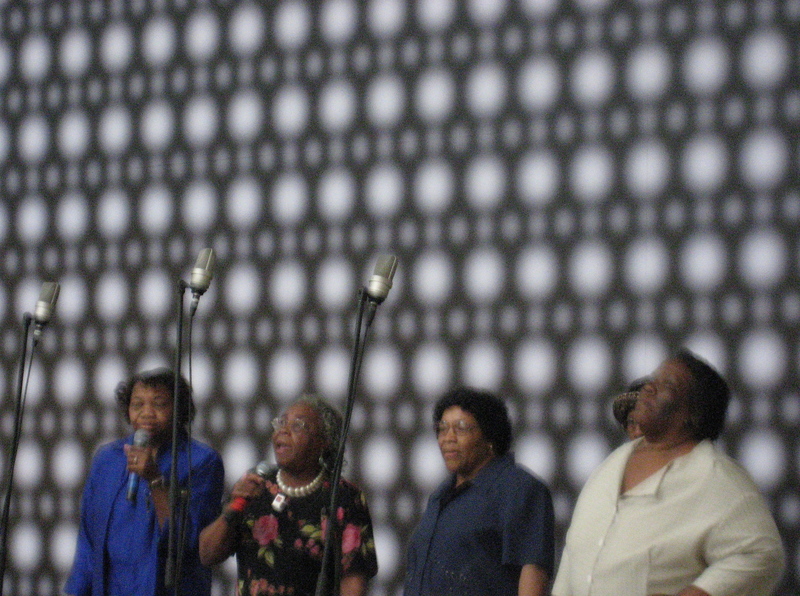 Years ago, in San Francisco, I saw an exhibit featuring the famous Gee’s Bend Quilts. 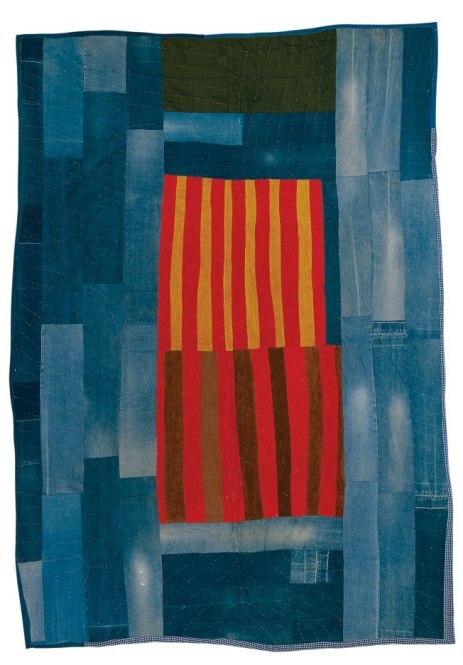 These quilts, now honored and esteemed in the art world and hung on pristine white walls, were made out of scraps of clothing—jeans with knees worn out, workshirts that were torn by work in the fields. They were made to be beautiful but their primary purpose was to be effective in keeping out the cold. The items we employ every day are not effective to us if they don’t work in the way we need them to. All inventions come out of a need, however great or small. We constantly think of ways to complete the tasks we do in our day-to-day lives in a more effective way. In this way, effectiveness is not so much about the magnitude of the task to be completed, but how that process is maneuvered through for an ideal end result. Jessie T. Pettway (born 1929). Bars and string-pieced columns. 1950's. Cotton. 95x76 inches. I’ve been thinking about this in relation to myself lately. Because out of all of the things I desire for myself and my life, at the top of the list is to be of use. What individual gifts or ideas or qualities do I possess and how can I be most useful to the world around me in employing them? I am of the opinion that each of us are put on this planet to fill very individual and important roles, and I think most of our soul searching, wondering and questioning, and confusion and chaos is derived from our attempts to either figure out what these roles are or, once we do, to resist them. It can be overwhelming to consider what we want to do with our lives and how we can be most effective as a friend, partner, parent, daughter or son, member of our community. And yet somehow, I also believe that the way we listen, respond and initiate small actions in our day-to-day life gives us insight into what we are meant to do in the bigger scheme of things. We learn in these smaller moments what we can do easily. We also learn where we have resistance and we learn to differentiate where the resistance lies: do we resist because what we set out to do is something we genuinely do not want to do or do we resist because we are afraid that we cannot do it (or, sometimes even more threatening, that we can)? Lately, I have been reminded that this is what I most deeply long for: to never forget what I can do. And it is what I most long for for others. Because in the face of tragedy and suffering and despair, it is important to realize that our individual decisions and actions and creations, the small pieces we each contribute, add up. There is power in recognizing how effectively these pieces combine to a beautiful whole, not something that is manufactured in one seamless movement by one person. But, rather, a whole made of pieces, like a quilt, that when sewn together winds up being not only useful but striking in beauty—a testament to time and patience, hard work and vision, faith and action.